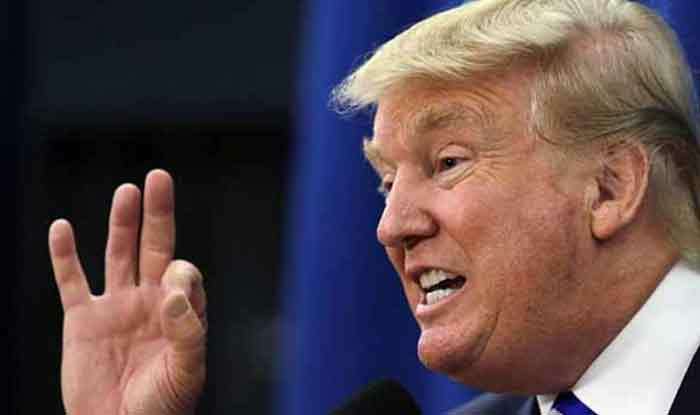 On Wednesday, the US President had said that imposing a national emergency is the last option and threatened to use it if the Democrats do not allocate USD 5.7 billion funding for his controversial US-Mexico border wall plan. Washington: US President Donald Trump walked out of a meeting with top Democratic leaders – House Speaker Nancy Pelosi and Senate Minority Leader Chuck Schumer, over their refusal to allocate a whopping USD 5.7 billion funding for construction of a barrier, concrete or steel, along the southern border with Mexico to prevent flow of illegal immigrants into the country. Notably, the meeting comes amid a partial government shutdown, which entered its 19th day on Wednesday, making it the second-longest in history after the 21-day shutdown in 1995-96. “Just left a meeting with Chuck and Nancy, a total waste of time. I asked what is going to happen in 30 days if I quickly open things up, are you going to approve Border Security which includes a Wall or Steel Barrier? Nancy said, NO. I said bye-bye, nothing else works (sic)!” a furious Trump tweeted. On Wednesday, the US President had said that imposing a national emergency is the last option and threatened to use it if the Democrats do not allocate USD 5.7 billion funding for his controversial US-Mexico border wall plan. “I have the absolute right to impose national emergency if I want,” he had said. While addressing Americans in his first ever prime time address over the ongoing partial government shutdown on Tuesday, Trump had termed the US-Mexico border situation a ‘growing crisis’ and said ‘a barrier is absolutely critical to border security’. He had said that ‘the only thing that is immoral is the politicians to do nothing and continue to allow more innocent people to be so horribly victimised’. Earlier on Sunday, Trump had offered to erect a steel barrier rather than a concrete wall along the border to iron out differences with Democrats over the issue which has resulted in a partial government shutdown for over a fortnight. The partial shutdown started on December 22 when funding for many federal agencies expired and the US president refused to sign any spending measure from the Congress that did not include USD 5 billion for his US-Mexico border wall. Democrats controlling the House have agreed to fund only USD 1.3 billion for border security. With the partial government shutdown going on for over a fortnight now, there is increasing panic in the two camps and both sides are trying to reach out to Americans to explain their position on the stalemate. The ongoing partial shutdown may break the previous record of 21 days under the Bill Clinton Administration.